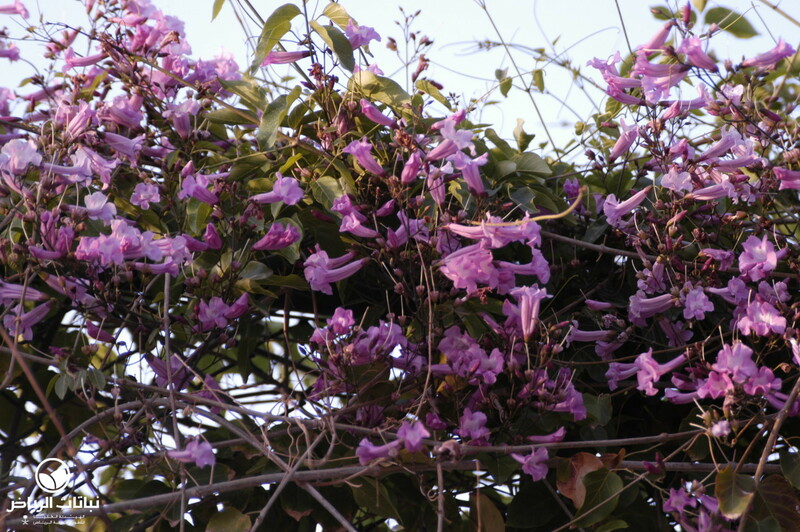 The Glow Vine is a spectacularly flowering, wide-spreading, climbing plant in the trumpet vine family, native to Colombia and Ecuador; it can also be shaped into a large shrub, with a bare stem and thick crown. 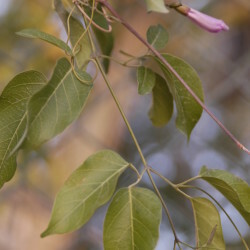 A free-growing vine up to 6 metres long, it has dark-green, dense foliage. S. magnifica will grow in the protected environment of a garden in Arriyadh. The stems are almost round in cross-section, and marked with longitudinal stripes. 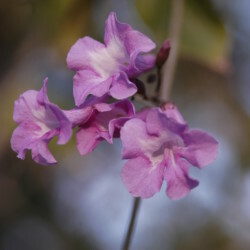 The elliptical, smooth, leathery leaves have two unequal leaflets with rounded ends, and another two leaflets at the base of the stalk. They have an orange-red colouring during the winter. 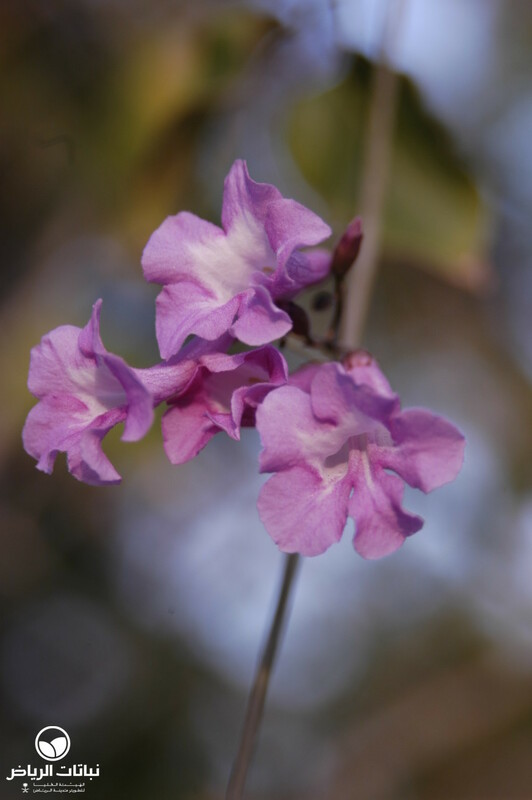 The magenta, scented panicles of large, bell-shaped flowers, have hairy, yellow throats and magenta nectar lines. 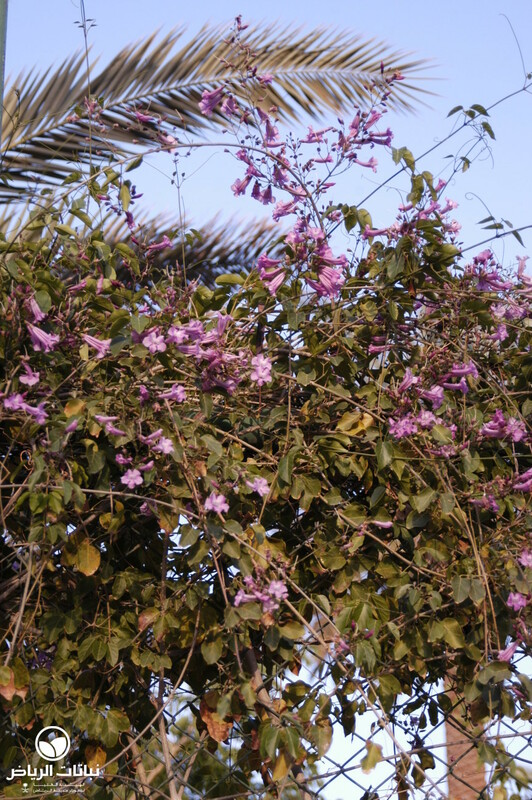 These bright flowers appear from spring to autumn. The fruit is a long, flattened capsule. 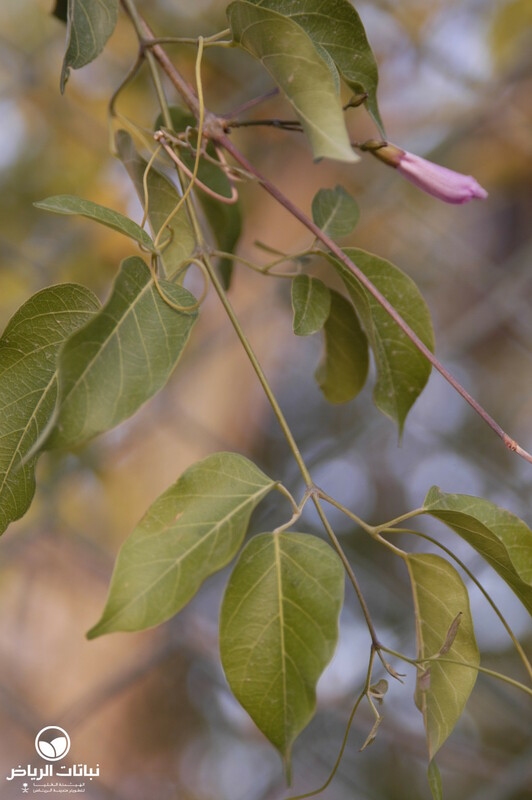 Glow Vine prefers cultivated, deep, but well-drained, moist soil with plenty of humus. Propagation is from seed and cuttings. 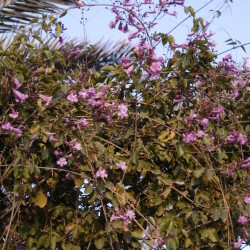 It requires a hot, sunny position with some light shade, especially in Arriyadh; it is also frost-tender and needs protection from the wind. Regular watering is necessary, and deep watering every four weeks in summer is vital. Mature organic fertiliser added to the soil every year in spring is recommended. S. magnifica is prone to fungal diseases, which should be treated pre-emptively with a systemic fungicide; an insecticide should be applied to prevent the attack of aphids and cochineals before the hot weather begins. 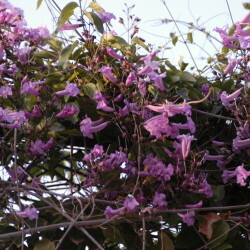 Otherwise, the Glow Vine needs little maintenance.